Burt Reynolds. Remember him? The well-known actor with 178 film and television credits? You'd think that a guy who scored big roles in such classics as W.W. and the Dixie Dance Kings, Smokey and the Bandit, Deliverance and Striptease would be squared away as far as cash flow. Apparently not. Burt is facing foreclosure on his house. His ranch was sold during a bankruptcy. The man needs to come up with some quick cash, so he's doing what a lot of other people who were never in Frankenstein and Me would do. He's having a yard sale. Except when you're Frankenstein and Me big, you don't have a yard sale, you auction your yard sale stuff. The Property From The Life And Career Of Burt Reynolds Auction will be held at The Palms in Las Vegas on December 11. December 11 is a Thursday this year. You’ve probably got appointments on your calendar. Last minute plane tickets are costly. You can’t just jet off to Vegas and bid on stuff, even though I’m sure you’d like to. The auctioneers understand that, that’s why you can see and bid on everything that is for sale via the net! As a service to you, I went through all six-hundred-seventy-six items up for grabs at the auction. I screened out the bad art work, weird furniture and the belt buckles and carefully selected some of the most “giftable” items for you to consider in your holiday giving plans. If you know anyone with the initials B.R., this auction is a gift gold mine for you. As an example, check out these monogrammed pink cowboy boots (starting bid $300). They’d be perfect for your buddy Bill Robinson or his wife, Becky. There is a set of two stylish ties (starting bid $100), one of which has “Burt Reynolds” typed on the inside. Oddly, Burt’s specially designed typewriter for ties is not up for auction. Got someone on your list who isn’t worth $100? They might like the set of five wooden hangers personalized (starting bid $25) with the actor’s name. What’s a better gift than a warm, cuddly robe? Burt’s own warm, cuddly robe (starting bid $50), embroidered with his signature. 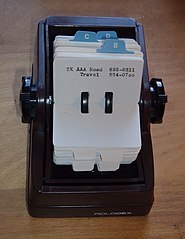 Your celebrity obsessed friend might love to have Mr. Reynolds’ Rolodex (starting bid $150), complete with the addresses and phone numbers of his actor/friends. One of the things I noticed in examining this item is that the card with Cary Grant’s phone number has “deceased” typed below the actor’s name. I’m no Burt Reynolds, but once someone dies, I don’t wonder why they haven’t called. But if you want the greatest gift in the auction (no, it isn’t the car from Smokey and the Bandit), you’ll be going head to head with my wife and you will lose. She knows how badly I want to walk around in Burt’s leather chaps (starting bid, $100) and she’ll stop at nothing to get them for me. Perhaps as you read this you’re reflecting on how this poor guy could have torn through the millions of dollars he earned over a long career. What choices did he make that were so bad that he must sell the relics of that career – the People’s Choice Awards, paintings of Dom DeLuise, even his desk name plate? Yes, maybe you’re thinking that. Please let us know in our poll and in the comments – before you read this, did you think Burt Reynolds was still alive? Most who read my blog don't know me from the man in the moon. But they seem nice and I am, in fact, The Man In The Moon. Oh, man, where was my head? Of course! Hey, Chris. Think we can pull together a couple hundred from the staff and make someone’s Christmas? I’m thinking our BR can use these branding irons. I don’t know what for, but who are we to judge? Awesome. By the way, I took the poll. Now, if those chaps are buttless David Lee Roth style, I’m taking your wife down. I needs me some assless chaps. god, i loved that power couple. One of them is likely for sale for the right price. The other has cotton candy hair. A few days ago, some big news broke for all you Burt Reynolds fans. Read all about it in my post over at Long Awkward Pause. If there is such a person on this Earth, please accept my sincere apologies. Frances U.C. Kent had a yard sale back right before the leaves dropped. Sad. She had such a promising career and now she is the crazy cat lady. Yes, there is such a thing as a crazy cat man. I want the car from Smokey and the Bandit. It would be better if it was the ambulance from Cannon Ball Run…but the car will do. Oh yeah, an ambulance is a lot more versatile. The acceleration and top end aren’t there, but the space! My god, the space! And that I loved that movie as a kid! Really, if it came up as a question on trivia night I’d have said he was dead. I can see by the poll that I’m in the minority on that. I’m owning it. I can’t believe we can’t buy his mustache! Or the chest hair! I mean, really, isn’t that what we all think of when we think Burt? The car? Na. It’s the body hair. Good point. That’s his only renewable resource and he isn’t exploiting it. The fool! I thought he was still alive even though with all that plastic surgery, he looks like death warmed over him. And you can warm death, but it just makes it smell funny. You can have the chaps – I’m going for his extensive collection of mustache toupees. Just the right gift for my girlfriend Bertha Retkowski.